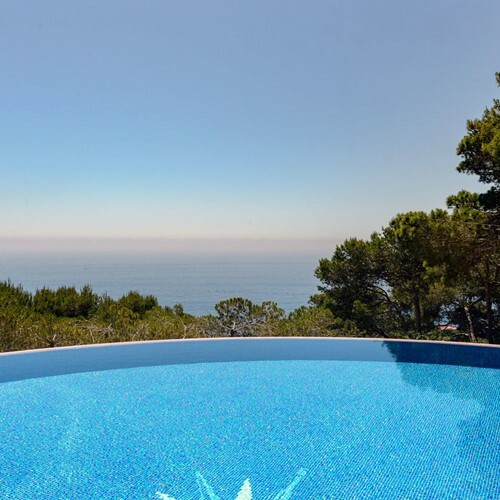 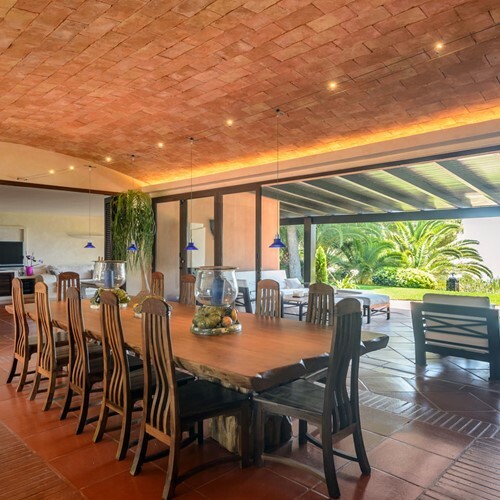 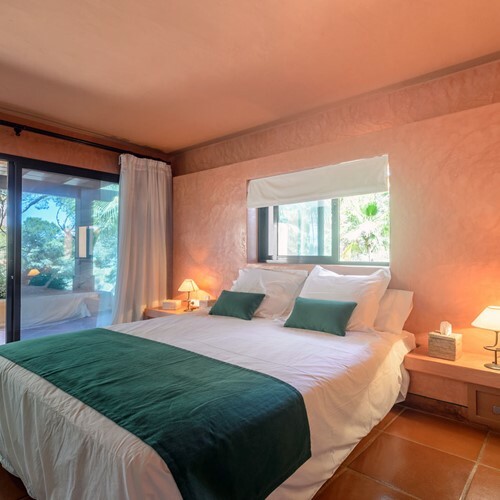 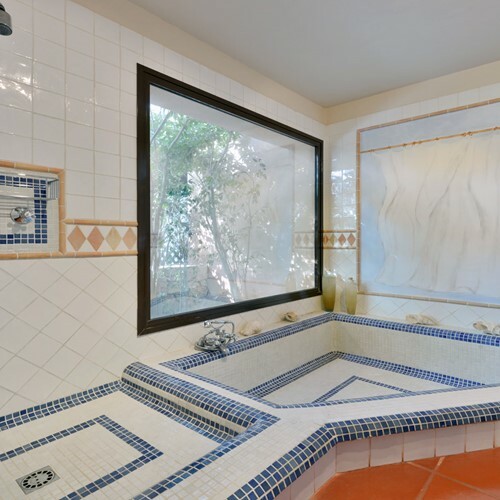 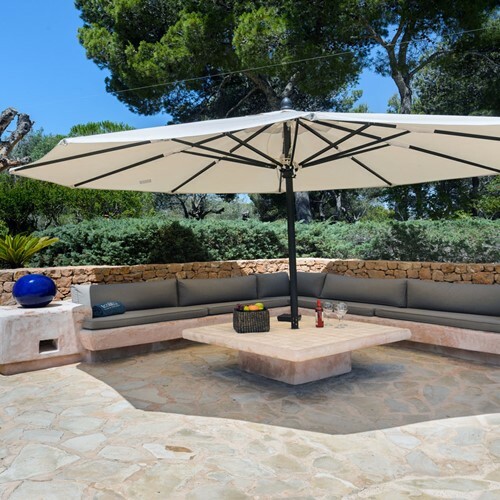 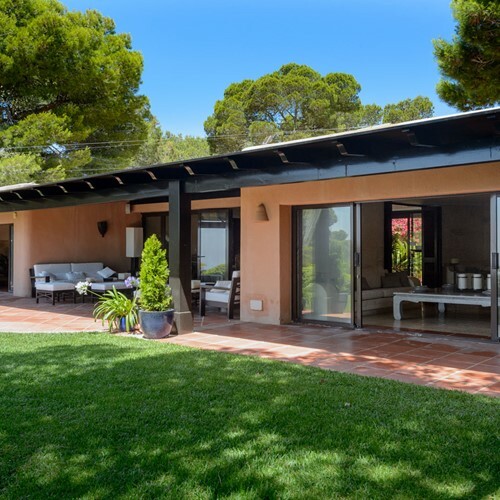 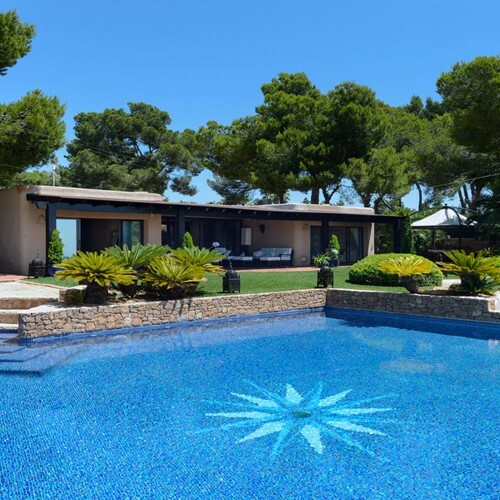 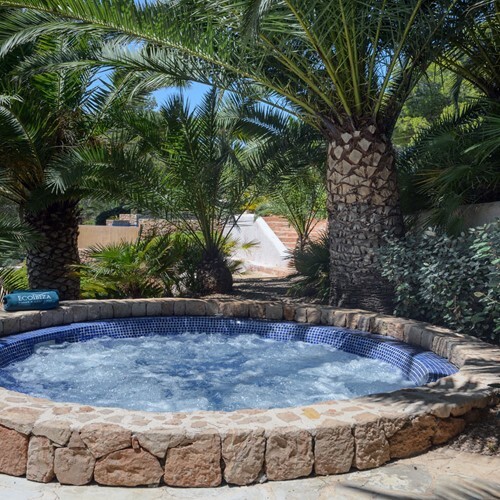 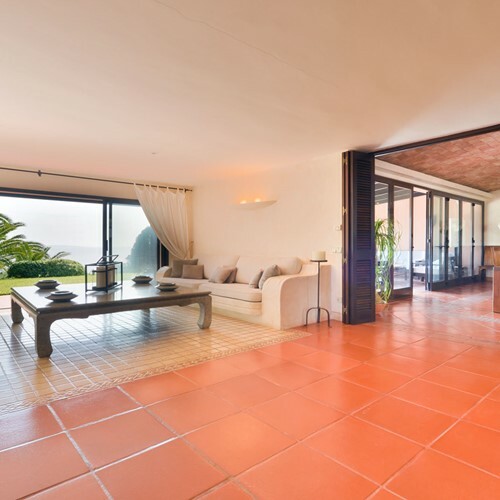 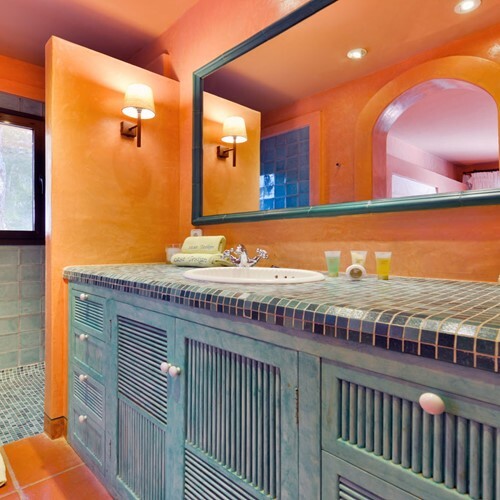 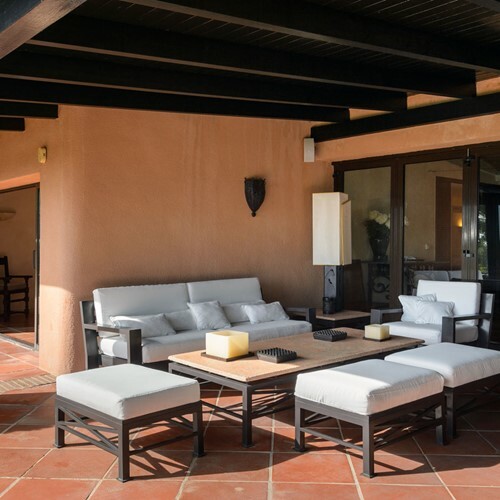 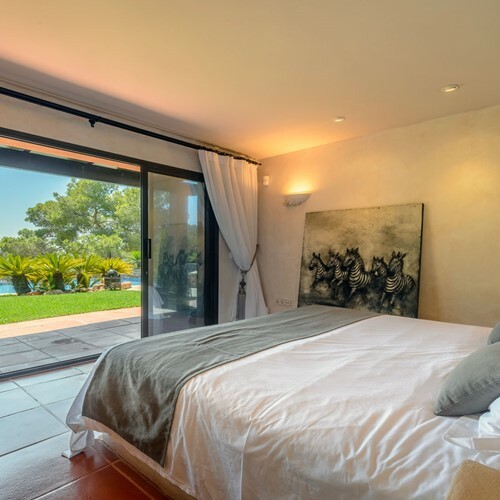 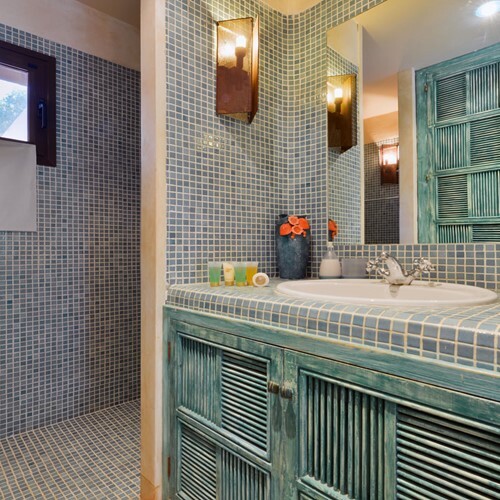 In a dominant position, with an exceptional sea view of Ibiza, this luxury villa is located. 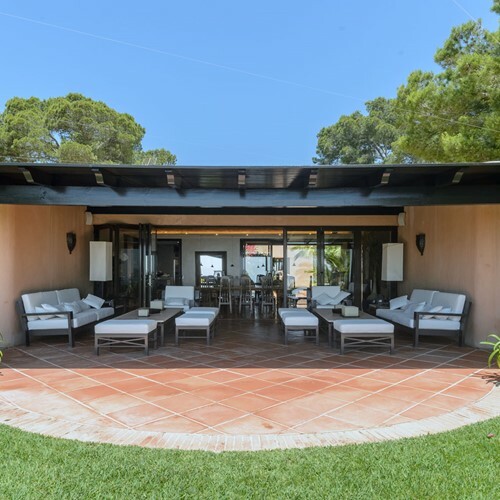 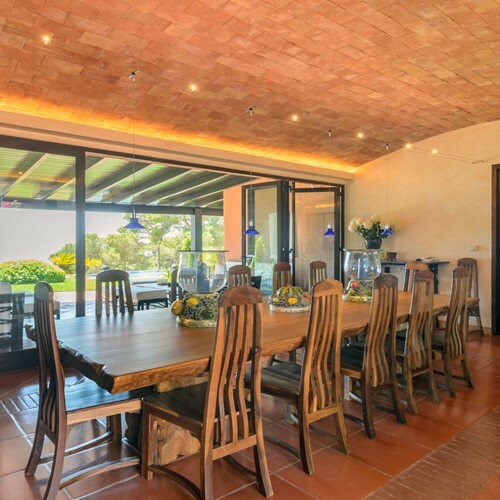 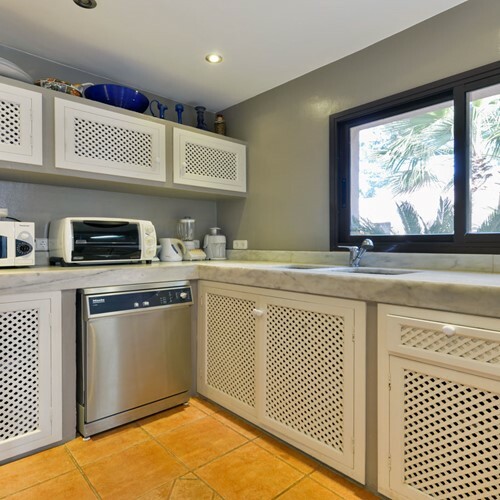 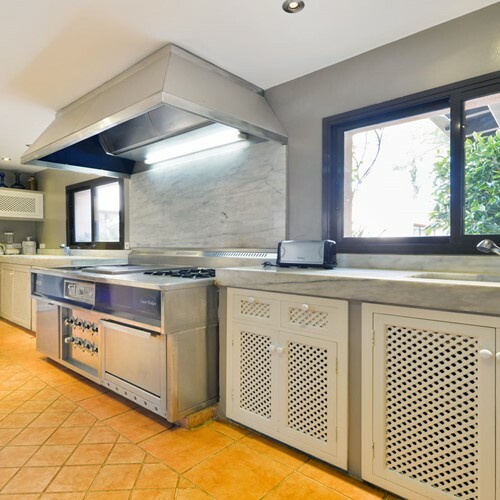 Modern and perfectly finished, the property offers interiors furnished with precious furniture made up of a large living room with dining table, sofa, tv and stereo, equipped kitchen, five bedrooms and five bathrooms. 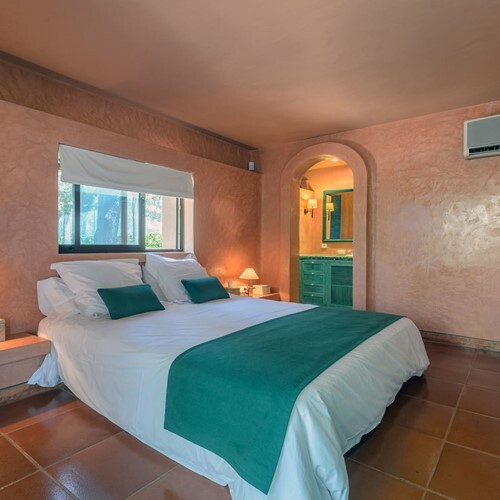 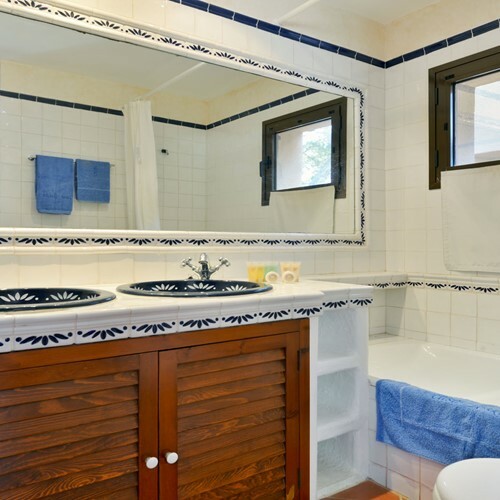 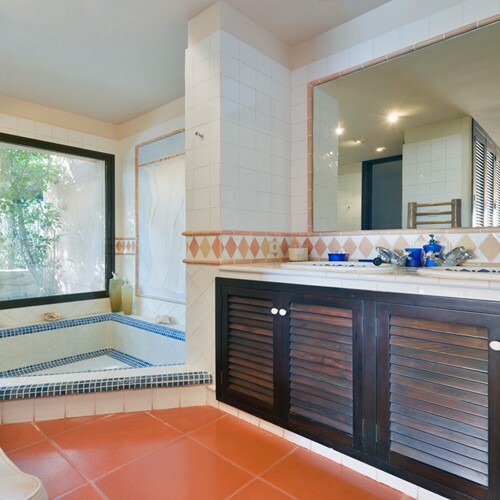 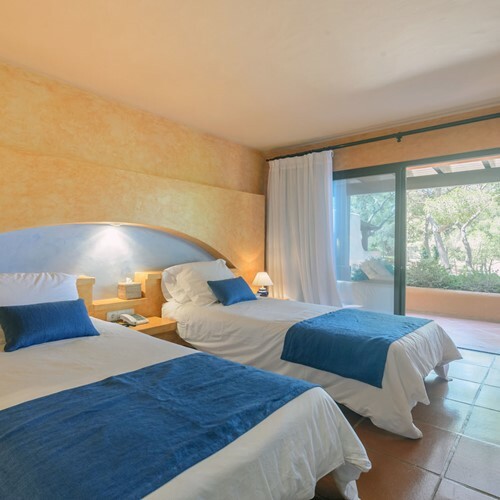 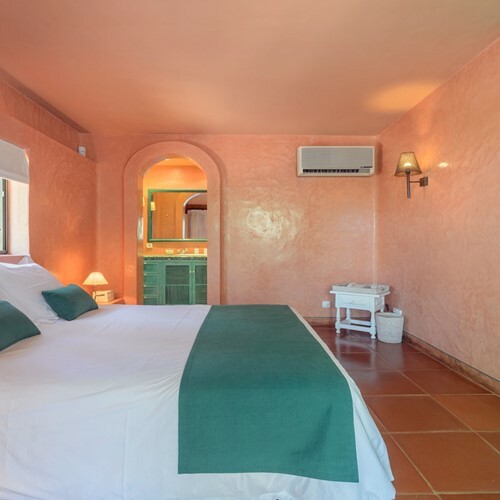 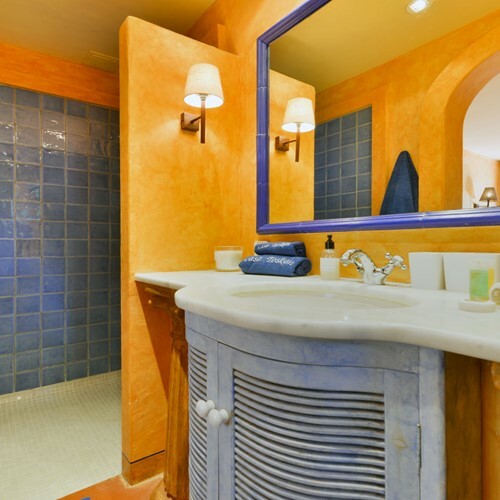 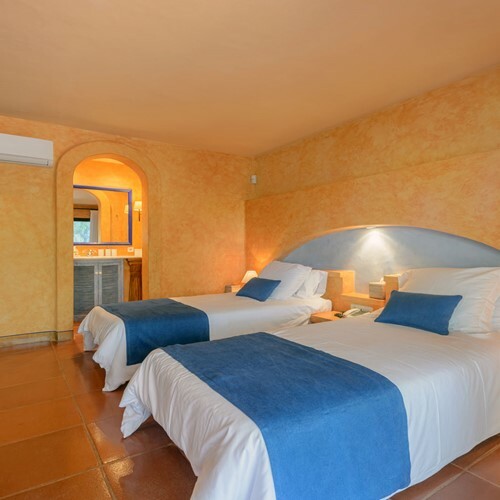 The accommodation also has air conditioning and wi-fi internet access. 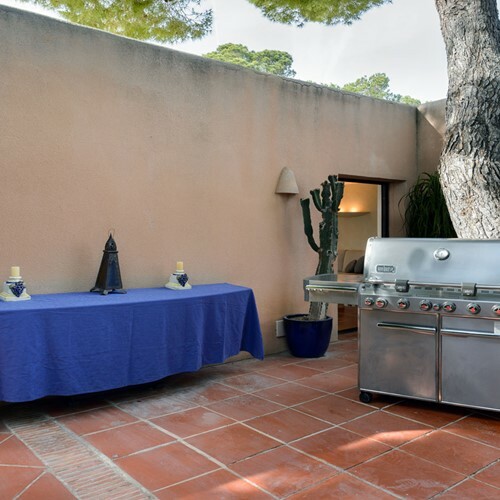 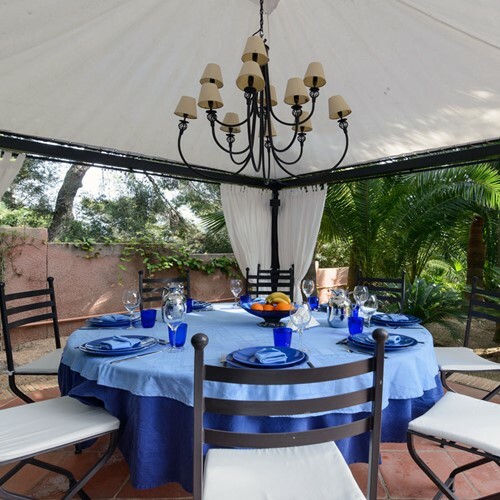 The exterior offers a garden, barbecue with table and chairs, various covered terraces and a pool with relaxation area. 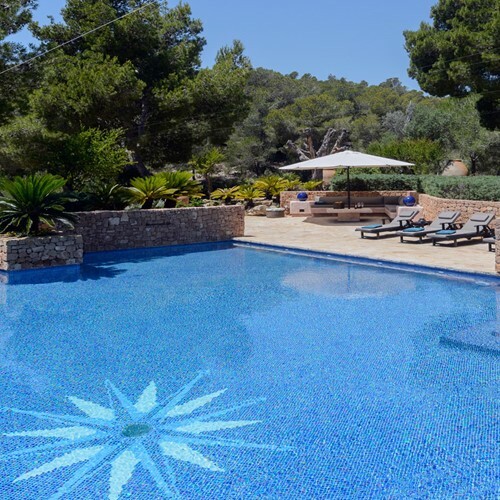 The exclusive residential area of Roca Llisa (2 km away from the property) is bathed by the waters of Cala Olivera, made up of fine sand and crystal clear water .. a true paradise on the island!